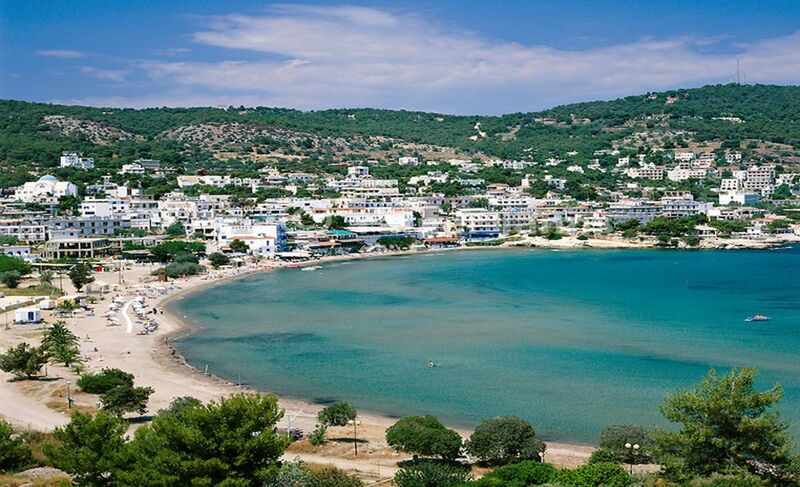 Agia Marina is the biggest centre of tourism on Aegina island during the summer. 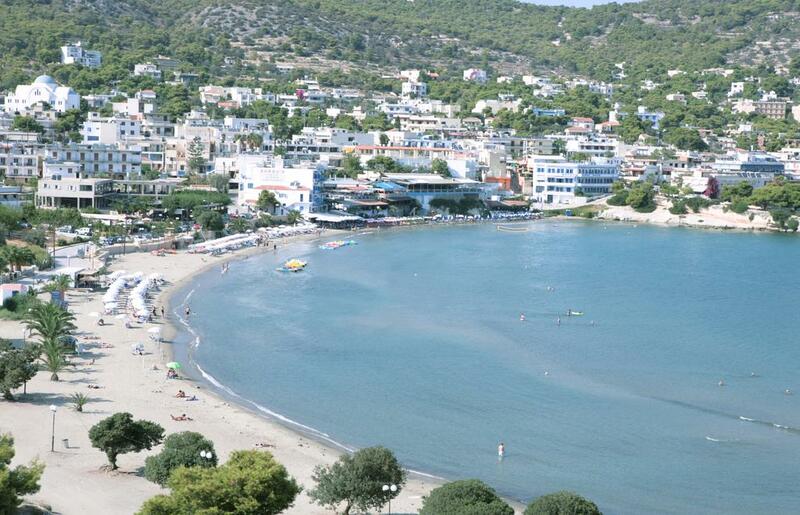 In August, the village is full with both foreign and Greek tourists. 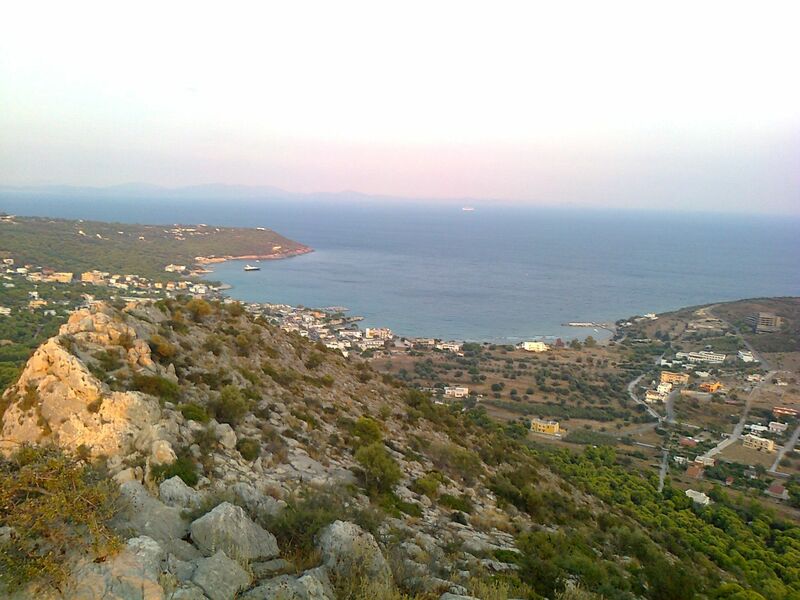 Also, lots of Athenians have a summer house in Agia Marina. 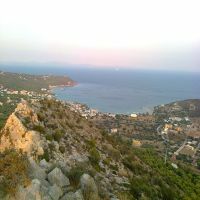 The village used to be a suburb of the village of Mesagros (The Middle Fields). 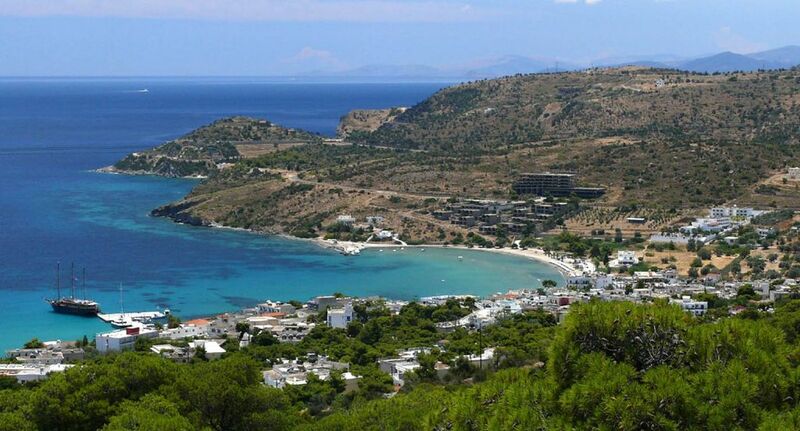 The village is named after the small church of Agia "Marina" at the south end of the beach. 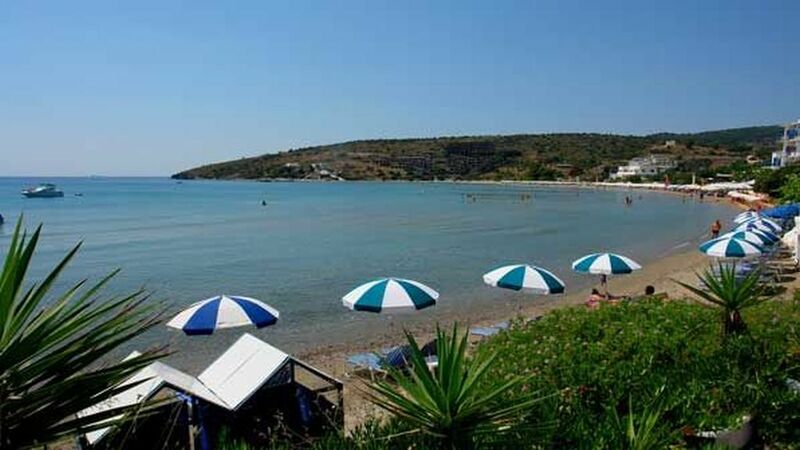 The church celebrates her nameday the 17th of July with festivities around the church and the beach area. 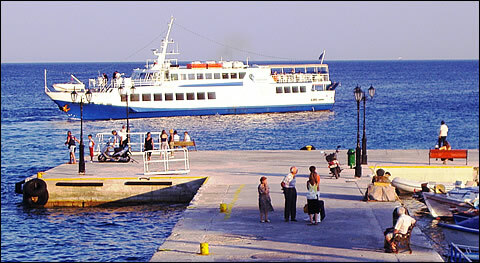 It takes half an hour by bus form Aegina Town to Agia Marina. There is a direct boat connection in the summer between Piraeus and the port of Agia Marina. There is a wide sandy beach in Agia Marina for those who prefer shallow waters and north of the port, there are rocks and deeper waters for the more adventurous in the direction of the area of Kavos. 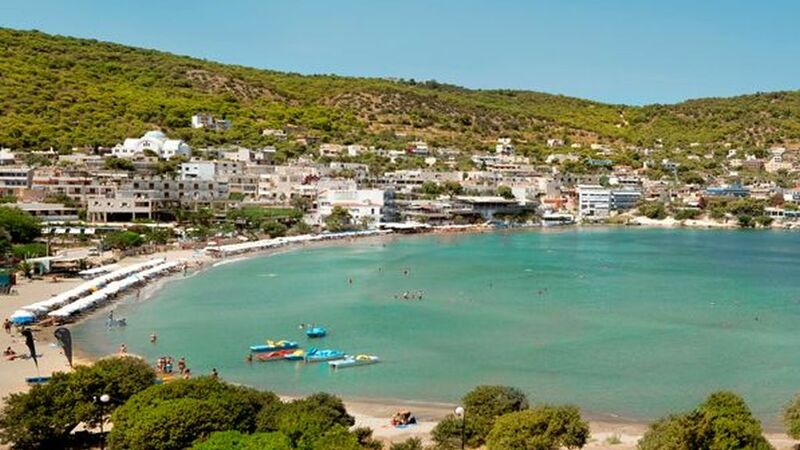 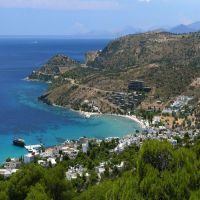 There are many tourist shops, including those selling the locally made pottery and local popular arts in Agia Marina and also numerous bars and tavernas which are mainly situated along the main street. If you venture a little way out of Agia Marina to the small village of Alones, there are also a few tavernas serving very good Greek food. 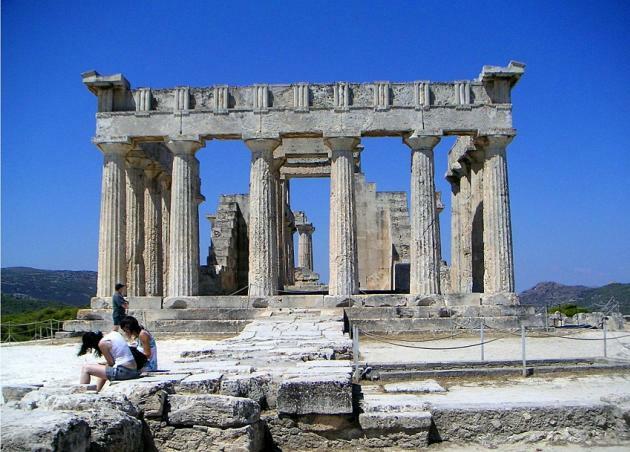 Whilst in Agia Marina, it is worth visiting the temple of Aphaia which is approximately 3 Km away. 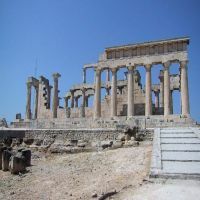 Built in local stone (lime stone), this Doric style temple is well worth a visit despite the fact that the artifacts were removed in 1811 by a group of archeologists from Germany and England who sold them to King Ludwig, and which have, since 1813, been on display in the Munich Glyptotheque. 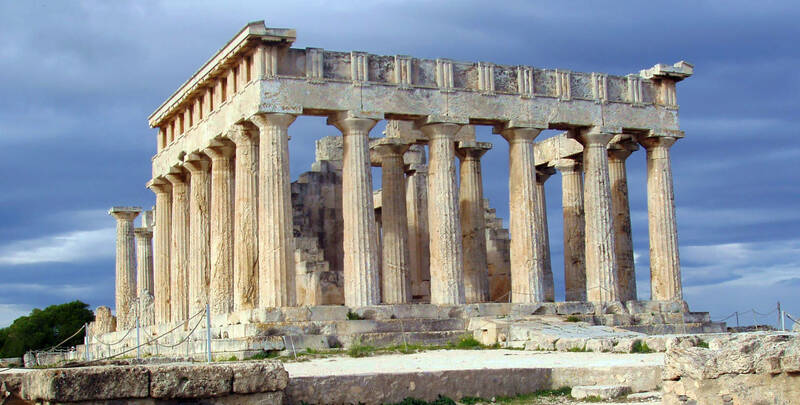 The temple has been described as "the most perfectly developed of the late Archaic temples in European Hellas". 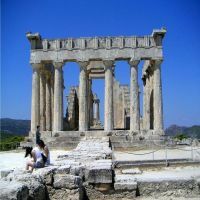 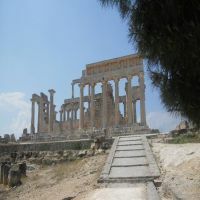 The temple is original in that it is the only surviving Hellenic Temple with a second row of small superimposed columns in the interior of the sanctuary. 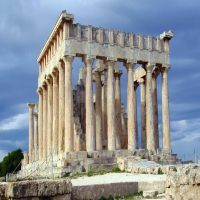 It was built in the 9th Century BC in celebration of the victory at the battle of Salamis (402 BC). 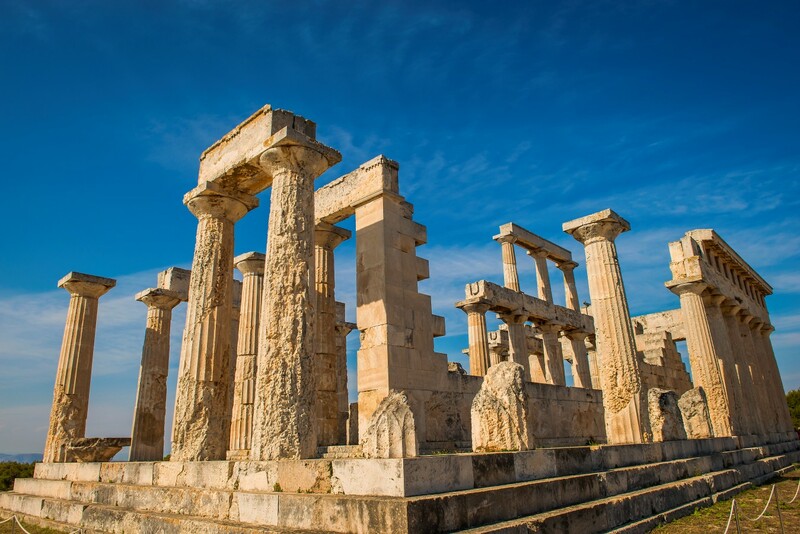 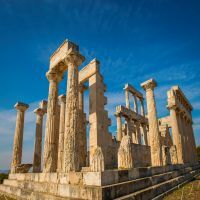 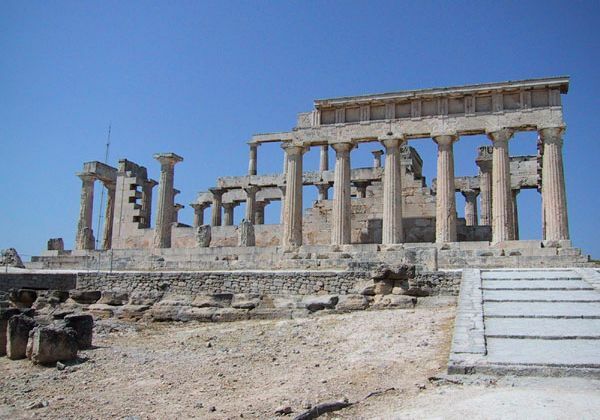 From the hill on which the temple is situated, there is a stunning view of the Aegean and it has been said that if a line were drawn between the temple of Aphaia, the Acropolis in Athens and the temple at Sounion, it would reveal an equilateral triangle.